Ground-breakings for privately-owned houses came in at a seasonally adjusted annual rate of 1.172 million, in April, according to the Commerce Department, a drop of 2.6% from March, which was revised down to 1.203 million from 1.215 million. Economists at Briefing.com were calling for an increase – to 1.255 million. While starts for single-family homes were up 0.4% in April at a rate of 835,000, they were overwhelmed by the decline of of 9.2% in construction of apartment buildings to 328,000. The decline in single-family housing starts was led by a plunge of 29.2% in the Northeast and a 3.4% fall in the South. 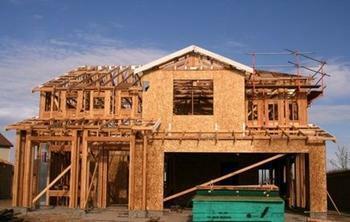 Construction rose in the Midwest (+19.4%) and the West (+9.1%). The issuing of building permits, an indicator of developers' plans in the months ahead, were down 2.5% at a rate of 1.229 million. Permits for single-family homes were down everywhere except the West. The complete report is available on the Commerce Department website.